Well, before coming to the advantages of Master Franchising…what exactly does the term Master Franchising mean? Let us know about it. Master Franchising is a form of franchisee-franchisor relationship in which the master franchisee essentially becomes a mini-franchisor himself for a specified area. He would have an opportunity to independently operate the Territory. The master franchisee can recruit, train and provide ongoing support to each franchisee they sign up. The master franchising gives a degree of power with enough funds to start a business, as they will be the in charge of the other franchises that are established in a region. You would be able to get huge profits from it. 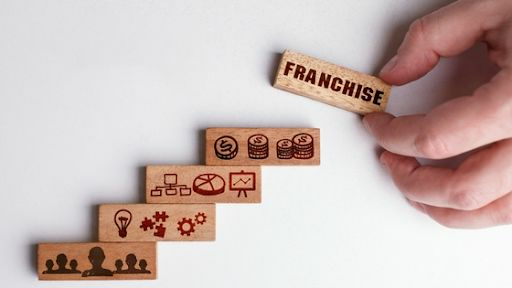 As you are busy recruiting, training and providing support to your franchisees, you will be receiving a significant percentage of the initial franchise fees and the ongoing royalty fees. Being a master franchisee, you would get a proven franchise package with established brand recognition. As you will be working with a system which is already successful you will not have to take any tenstions and do reinventions. As everything will be already in place you just directly have to hit the ground. If you are able to offer additional services like accounting, book keeping, handling people and consultation services, you would get additional income out of it. Though majority of your income will be from your franchising fee and royalty fee percentage, you can even generate profits from training and certification. Master Franchisee would be granted a confined territory to work on by most of the franchisors. When you are allotted a specific zone that zone would be confined only to you and the franchisees you recruit. This helps in not having to face the competition from another franchisee with the same brand as yours. This expands the possibilities of growth and profits. Being the middle man between a franchisor and a franchisee, as a master franchisee you will have total control on your system. Although you will have the responsibility of expanding and strengthening your business, you will be your own boss, unlike being a manager or an executive in a company. You are empowered to supervise the franchisees in your area. You can recruit skilled people who would be able to handle the business on their own without putting much burden on you, as your sub franchisees. This would enable you to concentrate on your other works instead of worrying about the progress of your business. You will have to supervise very less number of people, who are no one but the franchisees you recruit. You will only have to guide them and make them work on improving and expanding the business. With the support of the franchise company you can focus on this main task and be effective at it for a long time. You will also have to supervise on few more employees who are your administrative assistant, a trainer, support staff, and probably a sales person who would market your franchise. Your main role as a master franchise would be to expand your business and your territory.